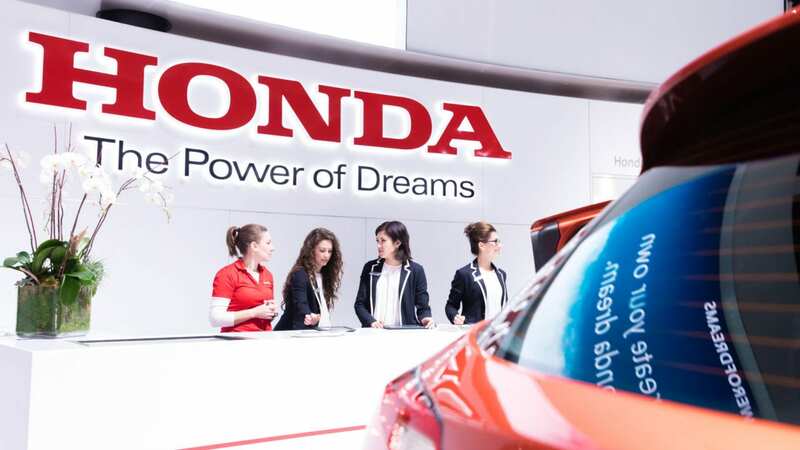 Elevate Brand Ambassadors became the face of Honda at the LA Auto Show. Honda and RPA invited car enthusiasts to stroll through the impressive Honda stand, where consumers could enjoy the new models for the year, and pre-existing Honda owners had the chance to relax in a private owner lounge for an exclusive experience. All Consumers were greeted by, experienced, friendly Elevate staff. Elevate partnered with RPA and Honda to provide star quality brand Ambassadors to assist with checking customers into the lounge and helping them to register their details to receive complimentary Honda Genuine Parts + Service giveaways. Staff also managed the private owner lounge where charging ports and comfortable private seating was available for the duration of the event. Elevate understood the need for experienced staff, and assembled a team of six Brand Ambassador, who became the face of Honda at the LA Auto Show. All recruits went through a vigorous interview process to ensure they were the right fit. These staff were then managed by two experienced team leads, who supported elevate in facilitating a team rotation schedule to ensure the Brand Ambassadors were always feeling refreshed, and performing to their highest standard across the 10-day campaign. Ensuring top quality staff were recruited, Elevate was able to hit all KPI’s and provide aptly fit candidates. From this success, RPA extended the brief to Elevate for their succeeding Auto Show in New York this April. The Elevate team are absolute professionals and their staff have become a memorable aspect of the Oculus demo experience. Elevate has done more than provide staff. They have worked tirelessly with us to grow a program that is now a critical part of the Oculus organization. After working with multiple staffing agencies, we reached out to Elevate and stopped looking elsewhere. As a key growth driver of our national program, the event staff Elevate provides are head and shoulders above the competition. Finding the right Glory Girls on a global scale was hugely integral to our consumer engagement activities. Elevate helped us find the right staff that were so much more than promo girls – they learned, lived and breathed the brand, which translated to natural and amazing outreach. In the highly competitive world of experiential staffing, Elevate stands head and shoulders above other agencies. Elevate are much more than just a supplier, they are a strategic partner whose expertise is invaluable for running effective, efficient and successful campaigns. Working with Elevate for over two years has been an absolute pleasure. From the internal team with whom we work on a nearly daily basis to grow our business and develop and oversee programming; to the external brand ambassador and demo specialist teams who are unconditionally passionate about Oculus VR. I have been extremely impressed with the work that Elevate have carried out for us. The quality of the Staff they have is fantastic, as is their ability to deliver every time. Elevate always save the day, especially on briefs that are often not straightforward and require a bit of “outside the box” thinking. I have never worked with a more professional, hardworking and effective team in my 20 years of events. Elevate is brilliant… they delivered way-way past what was expected & made my life super easy.